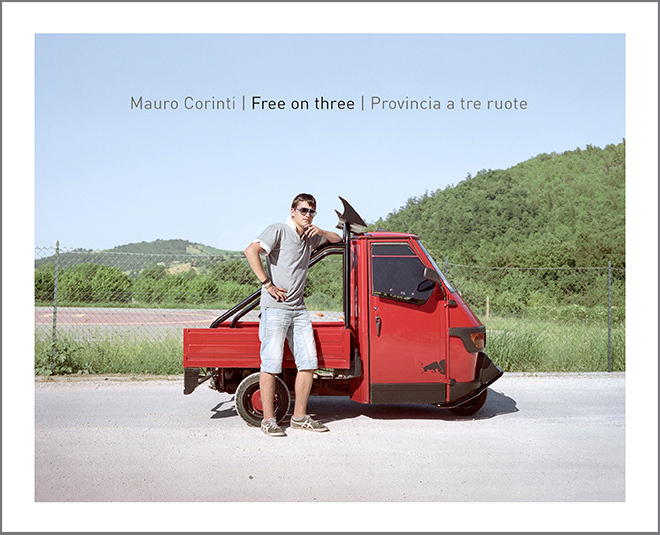 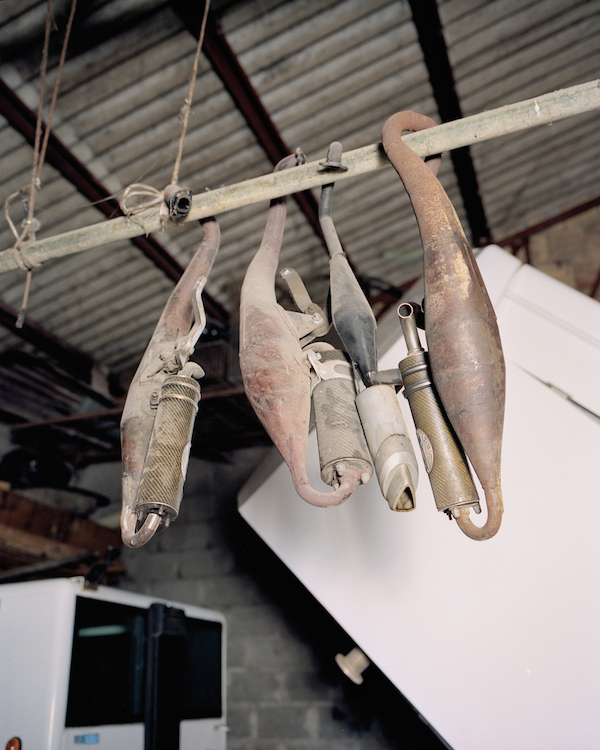 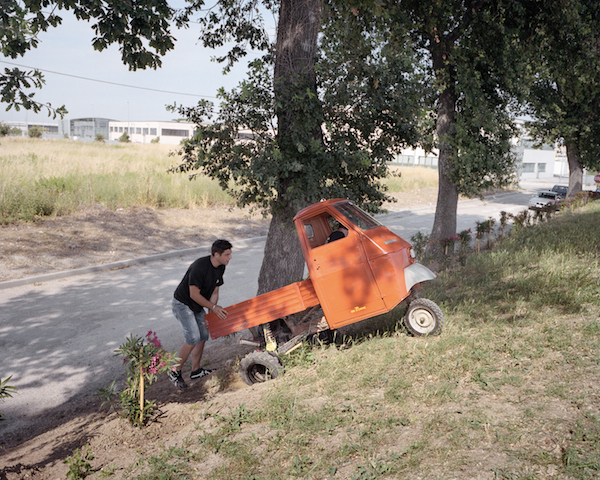 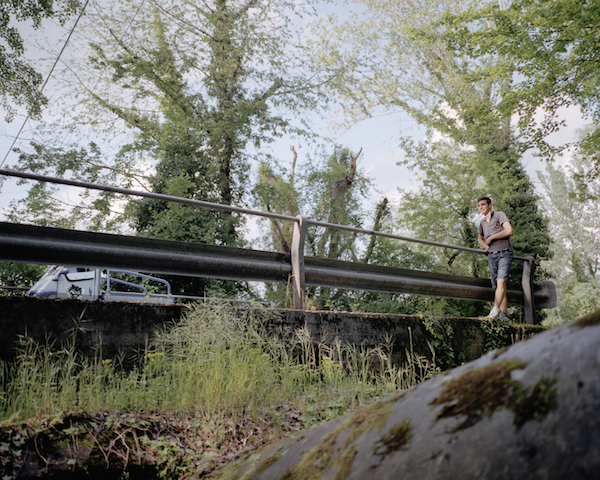 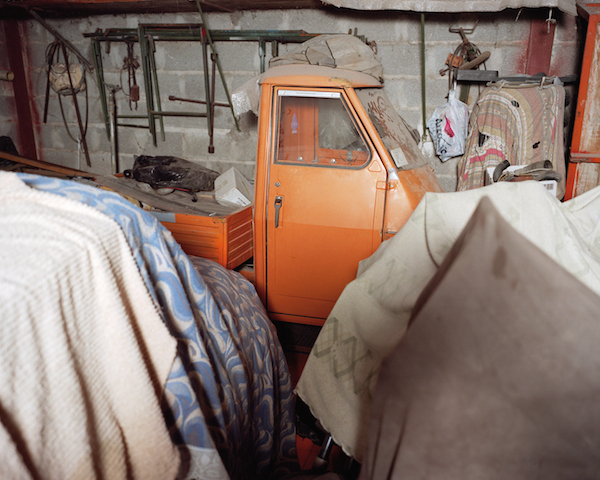 Free on Three – Provincia a tre ruote is a photography book by Mario Corinti, an artist from the Italian region Marche, which is narrated by a journey on the Ape Car Piaggio, the vehicle symbol of Italian industry. 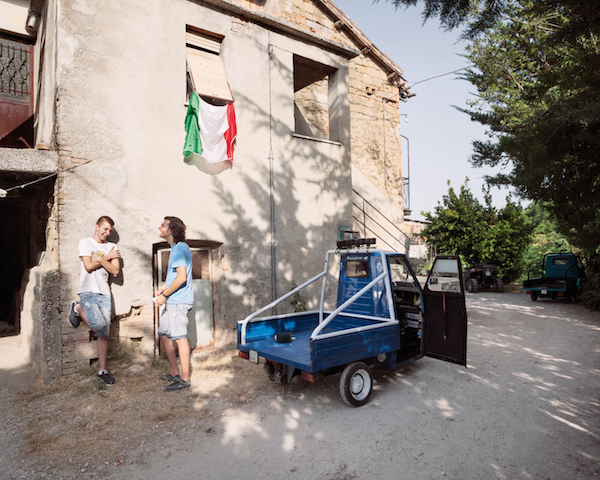 This car is a testimonial to the whole Italian society. 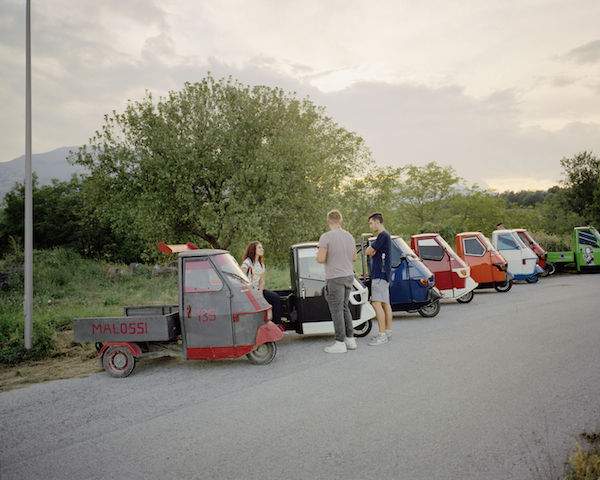 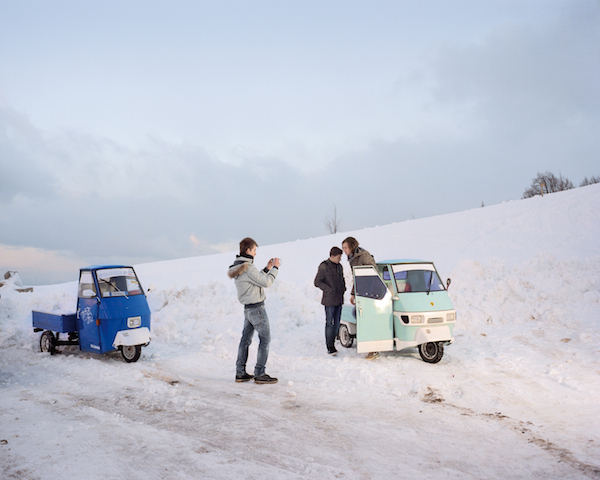 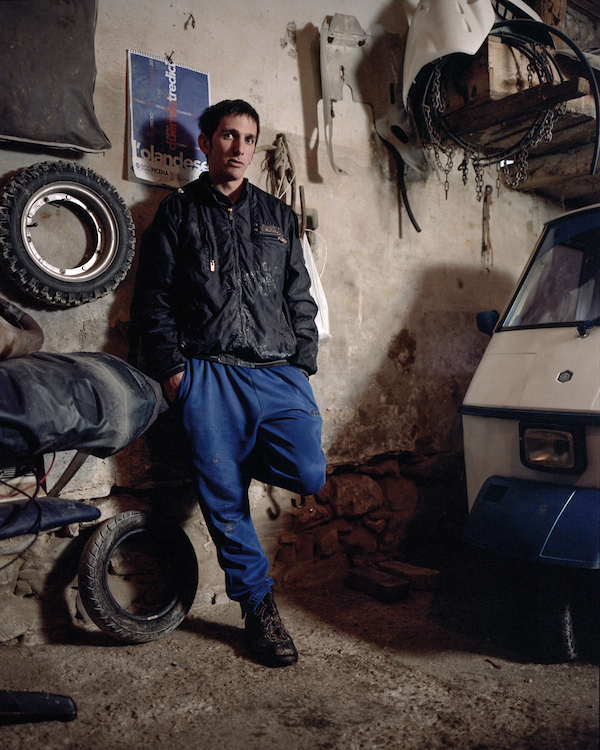 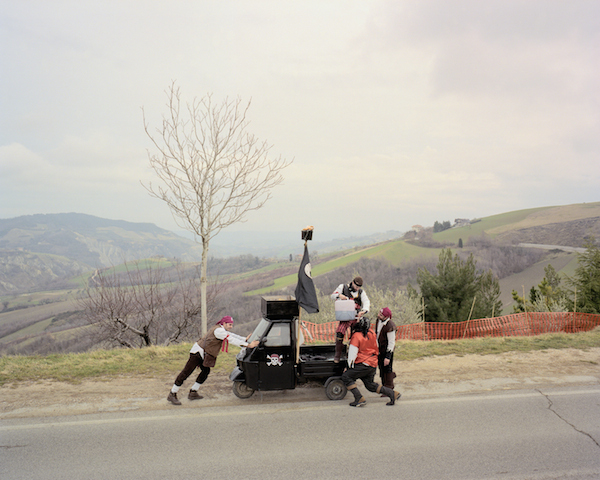 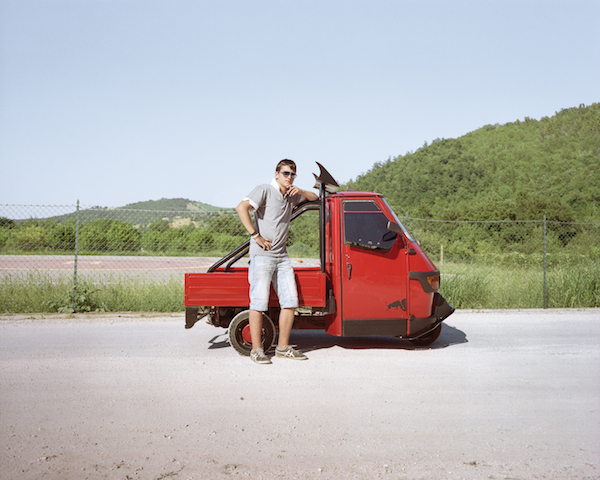 It’s a mirror to the freedom and colored energy of the young tribe of Ape drivers in the Marche landscapes. 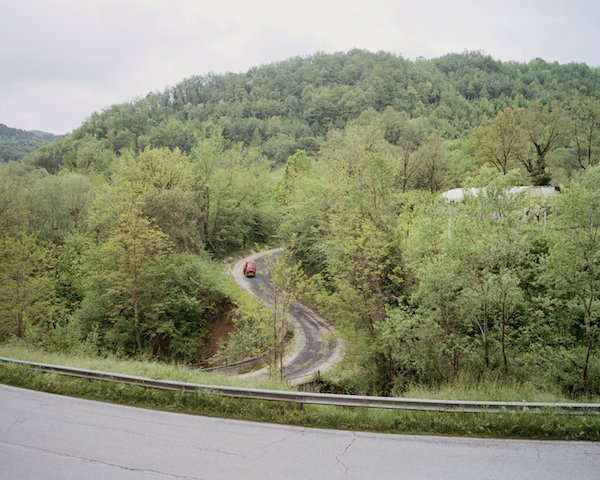 Places are identified by precise shapes, in the flat atmosphere all actions are impressed by natural shoots, like a stolen glance from a window train or the Ape engine noise echoing in an ancient village. 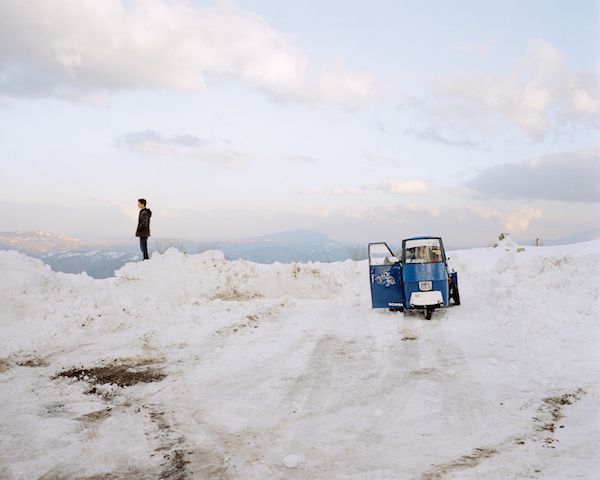 Free on Three has been presented during the 2014 edition of MIA photo Fair, the Milan international contemporary art fair dedicated to photography and moving image.